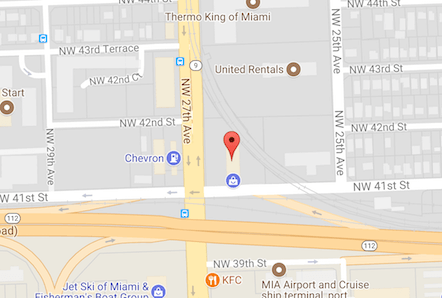 27 Recycling offers our customers a large, easy to access, metal recycling facility in the heart of Miami, FL. With convenient access directly to our large industrial scales as you arrive. Our scrap metal recycling center is equipped with all the necessary machinery for us to handle your recycling needs. We service all types of customers, including individual and commercial accounts. With our ability to deliver a 40-foot shipping container directly to your business or construction site. We are equipped with an industrial-sized scale that allows you to easily drive on, weigh your metal recycling load and get going. 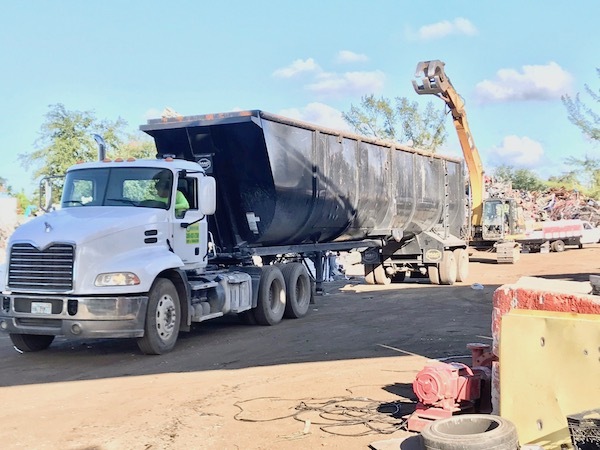 We also have smaller scales at the facility to weigh non-ferrous metals such as copper, brass, aluminum alloys, aluminum cans, and other types of scrap metal. 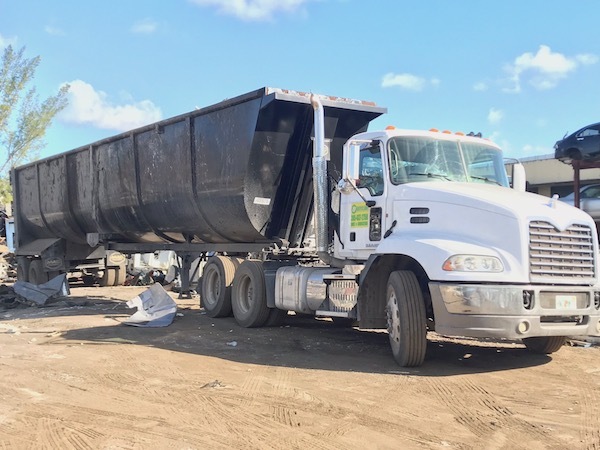 We recycle the most amount of metal scraps in South Florida, which provides the ability to offer you the best pricing when recycling your metals and aluminum with us. 27 Recycling makes recycling quick easy and worthwhile. Our mission is help reduce waste in cities while at the same time helping consumers make more money for their metals. 27 Recycling can provide specialized containers available in both 20-foot shipping container and 40-foot shipping container options. Increasing the efficiency of removing your metal scaps from your business location. We are able to handle commercial accounts of any size, small, medium, or large, no project is beyond our ability. If you’re a first time customer we make the process easy and convenient. We quickly get you registered on our computers while your weighing your scrap metal. Once you’ve registered the first time next time you come we just pull up your information weigh your load and get you paid! Doing business with 27 Recycling means you are dealing with the best. We get you paid and off to continue your day. No waiting around, no hassles, no problems. For our commercial clients, we completely understand the issues and complexities of a construction site or a remodeling project. Which is why we ensure our containers arrive promptly at your location. As well as picking them up when they are ready to make room on the project site. Our logistics staff is friendly and ready to assist. Our bilingual staff is ready and willing to help you with your metal & aluminum recycling needs. If you are a commercial client give us a call so that we can discuss how we can help you maximize your return by recycling scrap metals from your demolition, construction, or redevelopment project. We do all the work, we deliver a container at your location, and when its ready we come out and pick it up to bring it to our location. Where we weigh it and handle the processing of it and get you paid. No hassles, quick and easy metal recycling conveniently located in the heart of Miami, Florida. 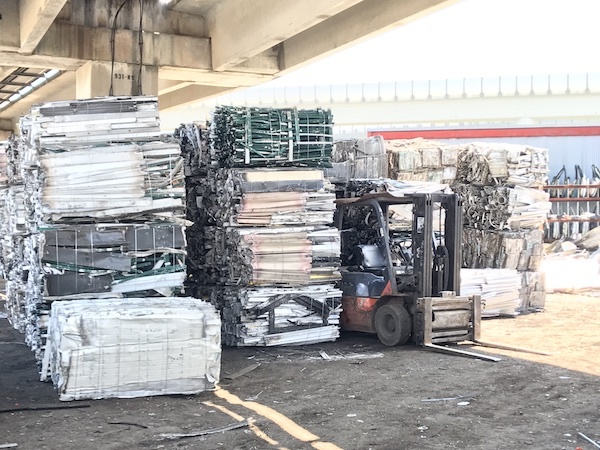 As the largest recycling center of aluminum, metal, and other non-ferrous metals we know what our customers want from us. Fast service, an easy process, and the most money for their scrap metals. That is exactly what we deliver! 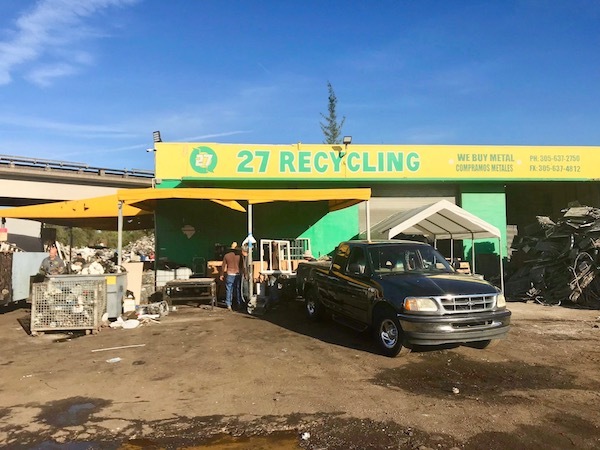 27 Recycling is helping reduce urban waste, recycling metals that go back into the community through infrastructure projects and a reduction in landfills. Ready to go green and make some green by recycling your scrap? We welcome all customers including industrial, first time recyclers, commercial both large and small and everything else in between. Contact us and let’s get to work. What Does 27 Recycling Buy? 27 Recycling Does Not Accept Any Dangerous Materials! 27 Recycling wants to be your first choice when choosing a recycling center to work with. Which is why we treat our customers well, we looking to build a long-lasting relationship with customers who choose us for their metal scrapping needs. Whether you’re a first time recycler or a commercial client, we look forward to working with you.